With TNT's 14th Birthday here, it's about that time to be planning out your birthday festivities. You want to make sure your party runs as smoothly as possible, but how do you know whom to invite? Neopia is filled with so many great Neopians, but some are a little more... er... high maintenance than others (and let's be honest, some are just downright obnoxious!). Our mission here is to help you filter your guest list down a little bit by telling you whom you should not invite to your birthday bash. We don't like the idea of leaving any Neopians out, but we do want help your party to run a little smoother. Do not, under any circumstances, invite these two to the same party. If you make this mistake, you will undoubtedly be forced to play mediator as they throw catty little remarks at each other. The rest of your guests will either find this entertaining or painfully awkward, at least until they get caught in the crossfire. Either way, you would be better off leaving them both off your guest list. You can thank us later. While you are at it, do not invite Balthazar if you plan on inviting any of the faeries. His reputation for capturing them isn't unfounded; he'll just cause a scene. 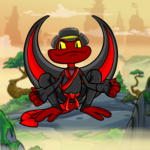 As an added bonus, if you snub Balthazar, you can go ahead and invite Samrin the Kacheek without repercussions. After all, as you probably already know, he and the little shepherd have a bit of a history. If you haven't been living under a rock, you've heard of Extreme Herder. Unless you want to recklessly endanger your guests, you'll want to avoid inviting any of the obelisk faction leaders. From our experience, they all get so touchy about the war for the obelisk. And they would probably spend the whole party wheedling people into joining their factions and acting unnecessarily histrionic when they don't get their way. You could probably invite their underlings without causing too trouble though; they're fairly harmless. Additionally, we suppose that Kanrik could come along if Hannah were also there; she might be able to keep him in check. These little petpets are infamous in Neopia. It is said that rumors often have a glimmer of truth in them, and that is definitely the case with Meepits. Anyone who has ever interacted with a Meepit understands that they hide their devious nature behind blank expressions, so don't let them fool you. Not to mention the fact that you would have to buy an inordinate amount of juice to keep them happy. It's simply not worth it, even if you think they're adorable when you happen to please them. 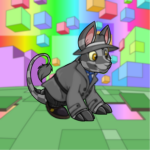 Speaking of trouble-making petpets, you probably shouldn't allow any Plumpies near your party either. Especially near the cake. This goes doubly if your cake turns out to be of the maple bacon variety. Yes, those exist, and they are absolutely delicious. Come to think of it, if you have one of those, you should just give it to us! His laughter is simply cringe-worthy. We know this seems like a petty reason to exclude him, but we assure you that you would feel the same way if you had to suffer his presence for an entire evening. We are simply trying to spare you the discomfort, like the magnanimous individuals that we are. Please note that if you plan on inviting him, you shouldn't even bother to invite us. Also, everyone knows his stupid game is rigged. The only acceptable reason you would have for letting him attend your party is if you desperately wanted his hideous little avatar. Anything else is unfathomable. We should preface this by saying that the Space Faerie is actually fairly personable. But if you think putting her in the same room as Dr. Sloth is a good idea, you're delusional. Plus, we're relatively certain that Sloth would just spend his time discreetly trying to recruit new minions. You can't possibly be naïve enough to think that he would be content as he is now. It's unclear how anyone can stand to look at his face, much less listen to his pompous little thoughts. Didn't we all get enough of that during this year's Daily Dare? He's so conceited that he would undoubtedly want the party to revolve around him. Can't you just imagine little Chadley garlands hanging everywhere? We know there is a truce, but there is bound to be some tension between them, given that there was not just one, but two full-scale invasions. We know this was several years ago, but we assure you the two don't exactly see eye to eye on much of anything. At the very least, having the two of them together would be an awkward situation for everyone else. Well, this should go without saying, shouldn't it? They would obviously run amuck, stealing everything in sight. Spare yourself. And your guests. If you've ever played Cheat with her, you would know that this little princess is a spoiled brat and a sour loser to boot. But you have to feel sorry for her; what kind of stupid name is Fernypoo anyway? Maybe it's a family name? Regardless, perhaps if you were cruelly inflicted with such an awful name, you would act out too. Or change it immediately. First of all, it is very unlikely that he would even be awake during your party. Secondly, do you really want to put any unsuspecting petpets at risk? You can just picture him munching on an innocent petpet, as horrified Neopians watch. We're sure he doesn't just limit himself to petpets either. The Turmaculus is, after all, known for having a huge appetite. The last thing we would want to watch is him eating the entire cake in one bite. You may think to yourself that Boochi could add a nice cute face to your party. Don't make this mistake! Underneath that cute exterior lies true evil. Please save yourself from having to deal with disgruntled guests, and leave this little guy off your guest list. The mix of people begging Boochi to zap their pets in conjunction with those hiding from him can get a little overwhelming. He might even pull out his ray gun and start zapping randomly, potentially upsetting everyone. This should be pretty self-explanatory--unless you're fascinated with Snot pets, which is pretty odd. Just do everyone a favor and 'forget' to invite Meuka. Do you really want him leaving a trail of snot everywhere he goes? You're not going to want to clean up after him throughout the party, and he's not exactly the cleanest Meerca around. Plus, he would put people off their food. Whether you're trying to throw a huge birthday bash or have a small get-together, we hope our suggestions help your birthday festivities run a little smoother. We're not trying to be overly controlling here, just save your party from some awkwardness when things inevitably go wrong. Hopefully, after following some good advice, you'll be able to throw that birthday bash that Neopians will be talking about for generations to come!